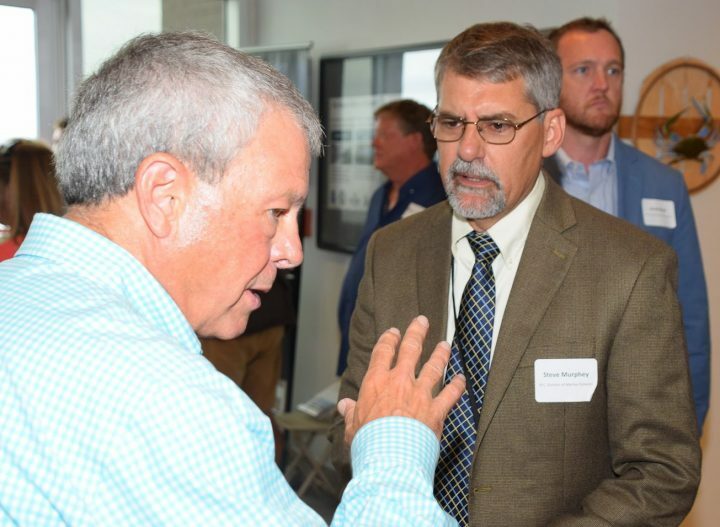 With the launch Thursday of the North Carolina Shellfish Initiative during an event at North Carolina State University Center for Marine Sciences and Technology, or CMAST, they’re one step closer. 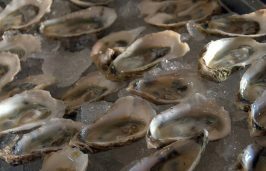 The first state in the Southeast, North Carolina joins Washington, Connecticut, Alaska and Rhode Island in modeling a program based on the National Shellfish Initiative, organized by the National Oceanic and Atmospheric Administration. In addition to NOAA, initiative partners include the North Carolina Coastal Federation, North Carolina Division of Marine Fisheries and North Carolina Sea Grant. The initiative aims to create jobs, protect water quality, protect shellfish health and ensure sustainable management. 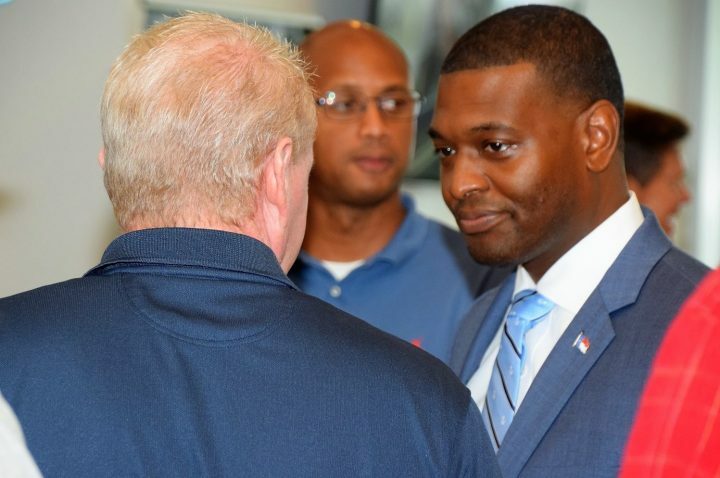 North Carolina Department of Environmental Quality Secretary Michael Regan explained that he spends more time than he had expected focusing on fisheries issues. “Passionate voices fill the discussion around this industry because it’s an integral part of our culture, our economy and the protection and the enhancement of our natural resources,” he said. The event Thursday demonstrates that environmental protection and economic prosperity are not mutually exclusive but go hand in hand, he continued. “Without a doubt, it is impossible, or hard to imagine North Carolina without the industry and tradition that surrounds our oysters and mariculture,” Regan continued. “Gov. Cooper also recognizes the benefit of this industry to our entire state, not just the coast. Investing in shellfish restoration and mariculture are good for the coastal economy, the state economy and again, environmental protection and the enhancement of our natural resources,” Regan said. 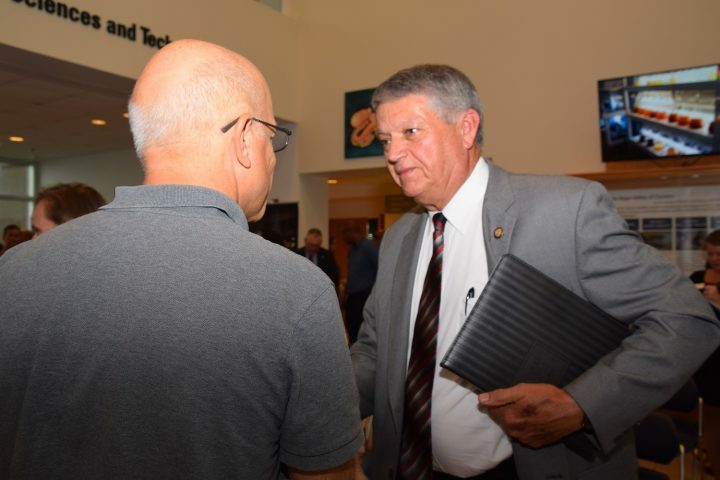 Will Best, coordinator for special projects with the North Carolina Department of Commerce, highlighted some of the economic opportunities this initiative is expected to offer. “Shellfish mariculture development provides opportunities for increased economic resiliency, revitalization of our working coastlines, and support for healthy ecosystems for food, recreation and commerce,” he said. This in turn provides opportunity for jobs, which the Commerce Department is focused. He said an example is the Pamlico Sound where 56 jobs were created in oyster restoration projects. Sen. Norm Sanderson, R-Carteret, Craven and Pamlico, said that over the last several years the North Carolina General Assembly has realized the importance of investing in and rebuilding the state’s oyster industry. “We have invested funds to increase our state’s shellfish harvest and to support the men and women who are pioneering this old, but now new again, industry on our coast,” he said. 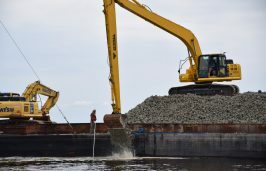 “We have provided millions of dollars to rebuild the sanctuary of oyster beds in the Pamlico Sound. … We have increased investment in cultch planting along the coast to ensure our wild oyster harvest remains strong,” Sanderson continued, referring to the process by which shells and rock are placed in coastal waters to enhance shellfish habitat in potentially productive shellfish areas. “We have also increased funding state agencies that regulate the oyster industry with more to come. “I promise you that my colleagues and I in the Senate and in the House will continue to do everything that we can to support you and to help make the oyster industry prosper in our state,” Sanderson said. Ken Riley, a marine ecologist with NOAA, thanked the partners for helping lead and steer the effort toward this statewide initiative. “North Carolina is the sixth state in the nation to take on its own state-led initiative that aligns with our national shellfish initiative. 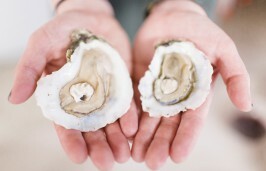 It’s the first in the Southeast region and oysters, both in restoration and aquaculture, are big business and a bright future for North Carolina,” he said. Steve Murphey, director of the Division of Marine Fisheries, said that DMF has a long tradition of shellfish enhancement and mariculture. Today, mariculture oysters represent just under 50 percent of total oyster harvest, so the potential is huge for the industry, though it does come with growing pains that are being addressed, such as public trust issues, Murphey said. Executive Director of North Carolina Sea Grant Susan White said the state and federally funded conservation and education program is proud to be a partner in the shellfish initiative. Chuck Weirich is the aquaculture specialist for North Carolina Sea Grant and spoke briefly about the work. He said there is a great deal of interest in shellfish aquaculture and they work with a number of producers to provide research-based information for potential and existing growers. Ryan Bathea, owner of a small farm by Cape Lookout called Oysters Carolina, said that the expected funding will increase opportunities in the shellfish industry. Following the presentation, Murphey said there is great potential here, adding that the initiative will provide additional tools, such as planning and education. Also attending was North Carolina State University doctoral student Olivia Caretti, who is studying cultch reefs in the Pamlico Sound. “I think this is really exciting to see the policymakers, the managers, the scientists doing the research on these projects and the commercial fishermen and growers coming together on this issue and working together to move forward,” she said about the launch of the state shellfish initiative. Wading nearly chest-deep in Bogue Sound that morning outside the CMAST building was Christian Bayer of My Lord Honey Seafood based in Beaufort and an aquaculture student at Carteret Community College. He was working with shellfish-growing gear in the water during the event. Bayer said he’s been in the aquaculture industry for about five years, and My Lord Honey Seafood owns about five farms in waters across Carteret County.